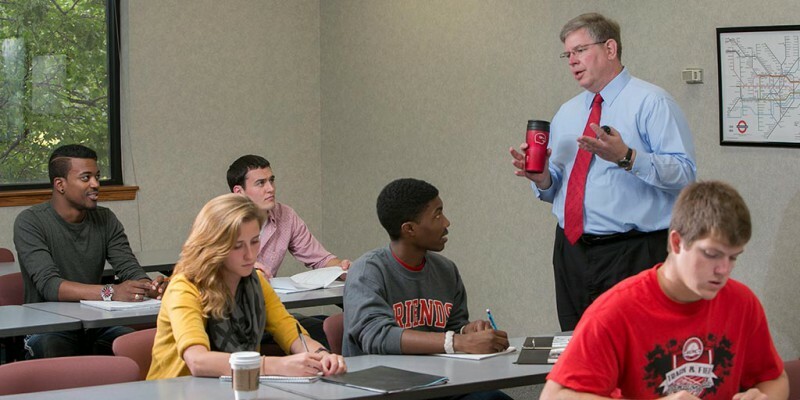 The Friends University faculty are interested in connecting with students and local businesses. The table below outlines examples of topics our faculty are uniquely qualified to share with your group. If you would like to request a faculty member to speak in your class, at an upcoming meeting, or for a specific event please fill out the form below. We will contact you regarding your request and will discuss faculty availability. Thank you for reaching out to Friends University. Please click the red button below to visit our form for requesting a speaker. James Long PhD. In business with emphasis in leadership - Capella University; MBA - University of Mary; Graduate work in finance, mergers and acquisitions, and economics - Harvard University Leadership, Business Concepts, Human Resources, Ethics, Internal Auditing, Finance Member of North Dakota State's Information Technology Advisory Committee - Provided legislative oversight for all state IT projects with budgets greater than $25,000. Member of North Dakota's Investment and Retirement Board - Provided legislative oversight for all state investments and retirement accounts. Overall budge of approximately $40 billion. Member of North Dakota's Investment and Retirement Board - Provided legislative oversight for all state investments and retirement accounts. Overall budge of approximately $40 billion. C-Level executive of North Dakota's workers' compensation fund - oversaw all support functions (finance, human resources, information technology, records management, training, and facilities) for North Dakota's monopolistic agency. Claims balance of approximately $5 billion. Board Member of Finance Council for the Catholic Diocese located in Bismarck, ND. Senior Professional in Human Resources. Senior Competency Professional.